Jennifer Adams doesn’t do things by halves! She’s travelled the world extensively carving out a career as a presenter, director/producer and MC on both the Australian and International stage for the past 20 years. After a successful career with Network Seven, Jen took the leap of faith to pursue her dream of producing the Travel Series ‘Places We Go’…. After a successful career with Network Seven, Jen took the leap of faith to pursue her dream of producing the Travel Series ‘Places We Go’. She founded her production company, Eve Media, and has been enjoying the success of hosting and producing her much loved show, which is screened on Network Ten and Discovery Travel and Living Australasia. Jen has also kept busy with a number of documentaries and TV specials for major networks. Living in Melbourne with her partner, their daughter and young son, Jen has a passion for telling “inspirational and thought provoking stories”. 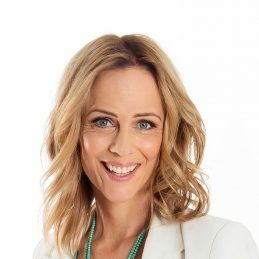 She has completed several one hour TV specials, including “Everest – Unfinished Business”, “That was me”, “Lockout” and “Chain Reaction”, all which aired on commercial networks nationally; alongside producing and directing an educational DVD for the AFL titled “taking the Tackle” which addresses the issue of Violence Against Women. As a journalist, Jen enjoyed a decade with Network Seven as a news reporter, prime time newsreader, presenter and documentary film maker. She has since revelled in many opportunities, working with all major commercial TV networks in Australia. Jen was also the host of Channel Ten’s prime time comedy show “Real Stories” with Hamish and Andy and was a presenter on Channel Nine’s travel show “Wine me dine me”. She also presented and produced TV specials for the Royal Children’s hospital for 8 years.